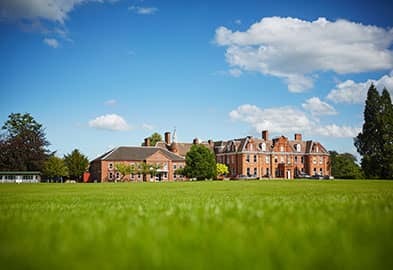 At Moor Park we believe in the benefits of a boarding experience and the two Boarding Houses are an integral part of Moor Park. We offer full, weekly and flexi-boarding, which is very popular for children and parents alike. Children may start boarding from Year 3 and by Year 8 most boys and girls will have had some boarding experience prior to moving on. Many of our leavers go on to boarding schools, and boarding at Moor Park is an ideal preparation. By living together in a close community the children are able to build up their self-confidence, community spirit and appreciation of others. They learn to develop a strong set of values, good manners, honesty, loyalty, fairness, a sense of humour and a balanced outlook on life. We offer a safe, happy, healthy and homely environment that enables our children to flourish. The dedicated House Parents, Boarding Assistants, and staff are all passionate about the benefits that our boarding experience provides children of prep school age. As well as a busy programme of activities during the week we make sure that, when the academic day is done, the children have time to build relationships with friends, relax and have fun. We also have an exciting programme of activities for Saturdays and Sundays. We look forward to meeting you and introducing you to our fabulous boarding team and boarding houses.